The autumn equinox signifies the first day of autumn and is a time of equal day and night. It is an opportunity to ground, balance and turn our energy inwards. Throughout time and cultures, autumn has been a time to assess what we have cultivated, what we need to hold on to and what we need to release. It’s a time to let go, slow down and take time for regenerating practices such as yin yoga, meditation and pranayama (breath work). During the equinox we can look at nature, the rhythm of the planet and the continuous cycle of change for guidance. We can observe the plants letting go of their leaves, a ritualistic shedding of what is no longer useful or necessary. As the days become shorter and the nights grow longer we can observe these environmental forces encouraging us to draw inwards, encouraging us to surrender to a quieter time. Anita is a British Wheel of Yoga accredited teacher and trained at one of Europe’s leading yoga institutes, Triyoga, in London. 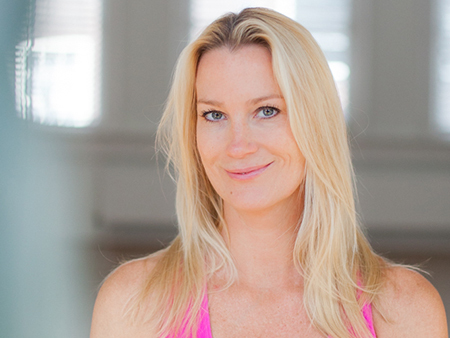 She is a member of Yoga Alliance and has been practicing yoga since 1996. Anita’s passion for yoga shines through when she teaches. She encourages her students to engage both their body and mind whilst maintaining a sense of enjoyment.